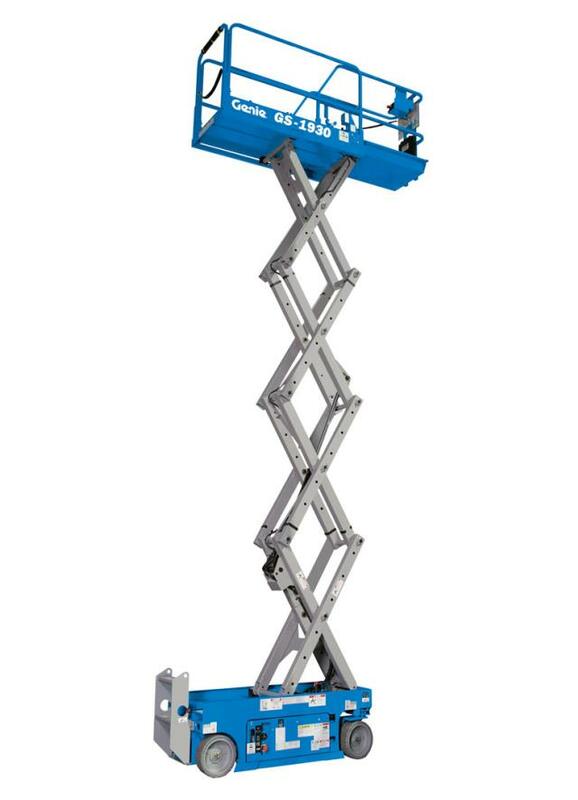 The Genie GS -1930 slab scissor lift is easy to maneuver in tight spaces, has a 25-ft working height, boasts quiet electric, zero-emissions operation and is ideal for indoor and outdoor applications on rm, level surfaces. * Please call us for any questions on our 19 foot electric scissorlift rentals in Lexington KY, Richmond KY, Winchester KY, Georgetown KY, Frankfort, Mt. Sterling and Berea Kentucky.